a a With respect to an all-rocket SSTO launcher. 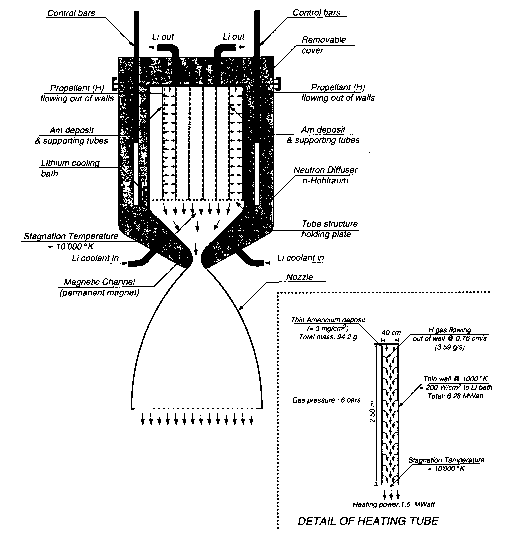 Even considering the weight of the heat exchangers, the conversion of the rocket to an airbreathing rocket to Mach 5.5 offers considerable savings in weight and engine thrust. This straightforward improvement to the rocket engine offers major cost reductions [Czysz and Richards, 1998]. For the same liftoff weight of 616.21 the payload for the airbreathing rocket systems and the KLIN cycle is between 24 and 38 tons. Had the Delta Clipper program survived and, had an airbreathing rocket been considered, the payload could have been increased and the gross weight reduced.